Dr. Shereen ElNagar is a specialist Obstetrician and Gynaecologist with over 10 years of experience in Obstetrics and Gynaecology field. She completed her medical education from Mansoura University – Egypt in 2002 and Master degree in Obstetrics and Gynaecology from Zagazig University Hospital - Egypt in 2007. She holds an evaluation certificate from United Kingdom of Spain to practice medicine. She also completed Diploma in Laparoscopy and Hysteroscopy from France thus performs various gynaecological surgeries. 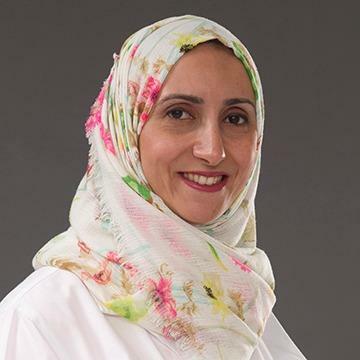 Dr. Shereen has extensively worked in UAE and was associated with private hospitals in Al Ain and Abu Dhabi before joining Brightpoint Royal Women’s Hospital. She has vast experience in managing high risk pregnancies and infertility. Her special interest includes gynecological surgeries, hysteroscopy, colposcopy and laparoscopic and minimally invasive surgeries. Dr. Shereen speaks Arabic and English.